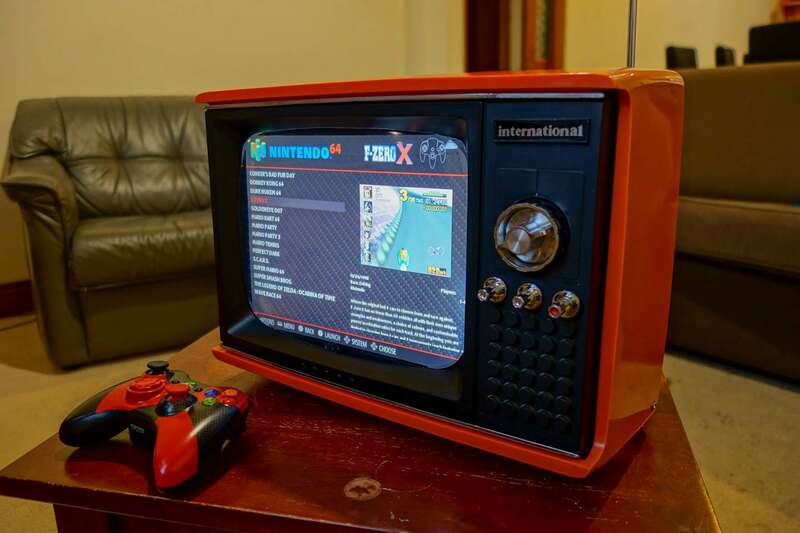 Redditor Finndersen found a cool retro-looking portable television in a dumpster, completely refurbished it, and turned it into a retro gaming powerhouse for his RetroPie build. He even added a digital tuner so that he could use the TV for its originally intended purpose and an Arduino (clone) to handle some original button/knob functionality. A cool build indeed! The completed project is stunning. 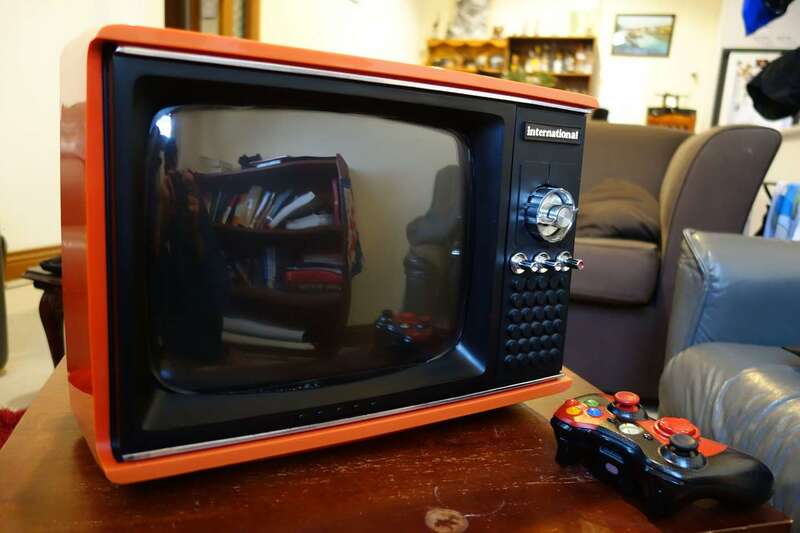 The original CRT display was cracked, so he replaced it with a 12" LCD display from eBay and added a curved piece of acrylic to maintain that retro feel. An added bonus is lower power consumption and clearer games. 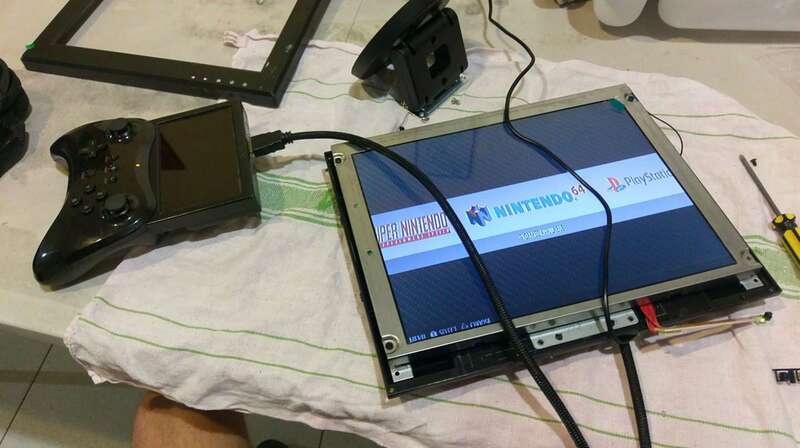 Remember: if you're attempting a similar project, you'll need to safely discharge the CRT prior to disassembly, or you might die. Cathode ray tubes can hold a charge for a very long time, and that charge can be thousands or tens of thousands of volts. Of course, Finnersen installed RetroPie for the actual video game emulation, running on a Raspberry Pi 3. 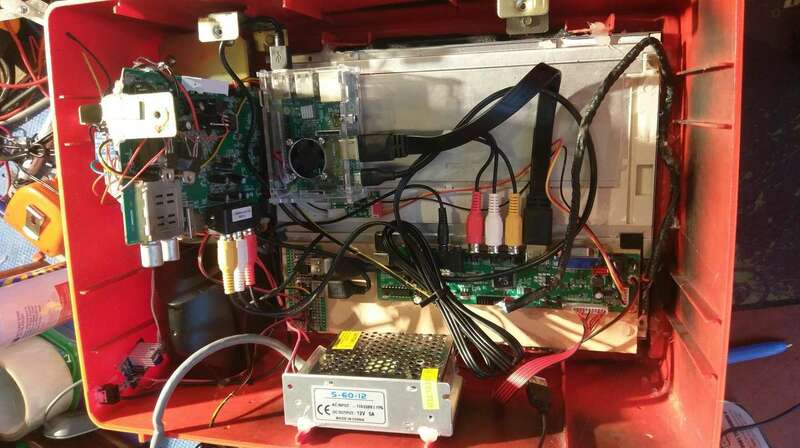 As a result, he needed to add a few other key electrical components -- such as a power inverter to convert AC to DC, two step down converters to reduce the voltage to the Raspberry Pi's 5V level, USB hub, digital TV tuner, and an Arduino to read the position of the channel selector knob and use it to change channels on the digital tuner. Pretty neat! Be sure to check out Finndersen's full build on Imgur for more details or join the discussion on his post in r/diy.